Did you know that the average amount of leaks generated by households account for roughly 10,000 gallons of water? 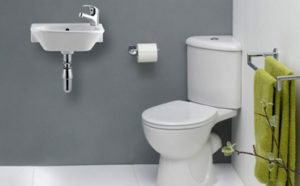 Some of the main things that cause water leakage are dripping faucets, worn out toilet flappers, leaking valves, and so on. Additionally, by attempting to correct water leaks, you can save up to 10 percent on your water bills. 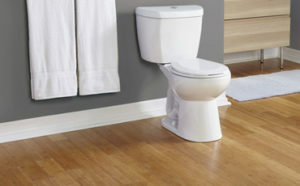 So, if you’ve reached this article, the odds are that you’re dealing with a leaking toilet. Read our brief guide to solve this issue! 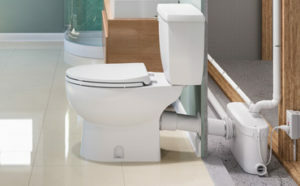 If possible, you should avoid utilizing a leaking toilet. Usually, the leaking water is dirty, which could lead to unpleasant odors, as well as other health hazards. 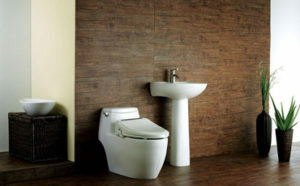 At the same time, if there is constantly water in the proximity of your toilet, this could cause damage to your flooring and subflooring. Plus, in the case in which the leaking toilet is located on the second story, the first-floor ceiling is likely to get damaged. 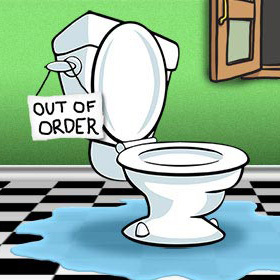 Before we talk about how to fix a leaking toilet, the first thing you should do is identify the problem. In general, this issue is caused by loose tee bolts – which are the plastic-covered bolts located at the base of the unit. In this case, what you have to do is remove the plastic covers by using an adjustable, open-end or box-end wrench, in order to regulate the bolts. 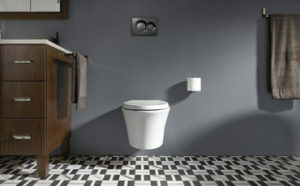 At the same time, ensure that the toilet is positioned accordingly on the floor. If it is un-level, this might end up breaking the seal, as it exercises undue pressure on the tee bolts. How to Replace a Damaged Wax Ring? If you’re still dealing with leaks once you’ve tightened the tee bolts, the problem might be a damaged wax ring. For the most part, replacing this is quite easy. Nevertheless, you’ll have to remove the toilet from the floor in order to do that. First and foremost, you should get a suitable wax ring. If you’re unsure what to get, you should ask an employee at the hardware store or a pro. 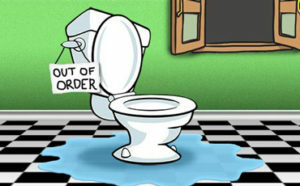 Before you attempt to remove the toilet, shut off the water supply. 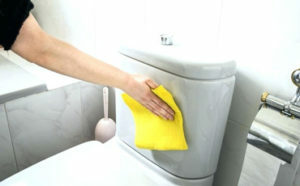 Once you do that, you should flush the toilet, so that you drain the water from the tank. Afterward, you should unscrew the nut that links the fill valve. Make sure you have a bucket at hand in case there is any remaining water. To remove the water supply, you have to loosen the nut that keeps everything into place. At last, loosen the tee bolts by using an adjustable box-end or open-end wrench. Next, you should lift the toilet. 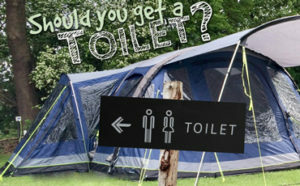 Note that you might need to rock the toilet, in order to break the seal. Also, you might need some help with lifting it. After doing that, take the time to inspect the tee bolts. They might be corroded or rusty – which would require you to get a new set. Remove the old ring, while focusing on eliminating any stuck-on wax, as well. As a rule of thumb, old wax rings tend to build up residue. Therefore, get some trash bags at hand because you might need them. What is more, you should clear out the keyed slots – namely the metal ring located over the drain. Evidently, the next step is installing the new wax ring. In order to do that, you must locate the new ring over the flange. 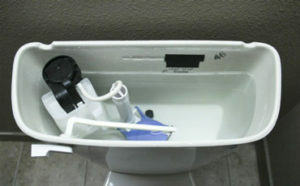 Lastly, before mounting the toilet, push and wiggle the wax ring, so that it remains stuck to the porcelain. This will prevent it from falling off when you lower the bowl. 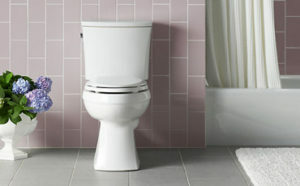 Concurrently, when you reset the toilet, you should try to drop it directly into place. Bear in mind that, if it is not aligned accordingly over the bolts, there is the chance of distorting the wax ring, which will inevitably cause damage to the seal. 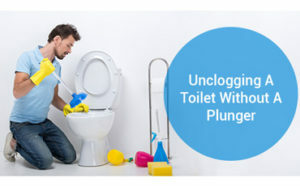 To conclude, these are only some of the ways in which you can cope with a leaking toilet. 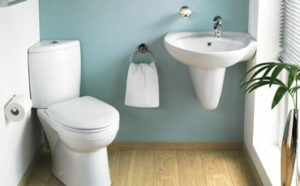 Of course, things are different in the case of wall-mounted toilets. 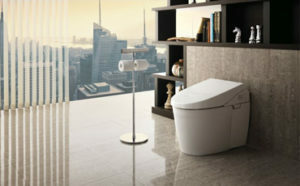 In some instances, though, you might need to replace your current toilet, especially if it’s old. 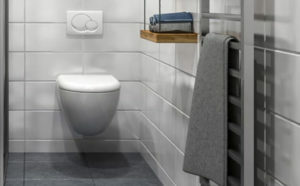 Nowadays, the best toilets on the market come with extra features against leaking accidents and they also aim at diminishing water consumption.